I’ve seen a lot of Disney movies, just want to put that out there. So it is hard for me to try and whittle it down to just 5 films, as there are quite a few favourites. Each film is so unique in its content, soundtrack, storyline, characters… it’s hard to try and work out which one is a favourite. My way of thinking is that a Disney movie in my opinion needs to be re-watchable (there are some that I’ve watched once and then haven’t watched them again). It needs to have a soundtrack that’ll make me want to carry on singing the songs, it needs to have a storyline that will make me laugh and cry, and finally the film/movie needs to have characters that are loveable and relatable (to who you are). My ALL TIME FAVOURITE Disney film ever! I cannot get enough of watching Pocahontas, even as a kid. I cried when my old VHS got ruined as a kid – sad I know! The characters are loveable, I mean hello, Meeko is such a sassy sidekick – especially when he steals the bones from Percy in his bath! The songs are addictive to sing and my go-to film when I am feeling down. Plus, Just Around The River Bend is my most played track of all the Disney songs – FACT. So you can kinda establish that I love Pocahontas, a lot. Sleeping Beauty has one of the most badass villains in the Disney Classics collection. This is one of my favourite films because of how much I remember as a kid. Honestly, I found Maleficent terrifying and especially when she became the dragon! Despite it having the bog standard ‘damsel in distress’ style storyline, it’s a true classic. Plus you can’t deny the fairies being awesome too – Merryweather is sassy! The more recent of the Disney movies has definitely confirmed that Disney can still make great quality films even now! Moana is so beautiful to watch, the characters are amazing – Moana is so strong as the lead and breaks the mould of the ‘Damsel in Distress’. Plus can we talk about THAT soundtrack from Lin Manuel Miranda? Addictive and fab all at once. There isn’t a main villain in this film which I think is why I enjoy this so much, it’s different from the old Classics. I had to include a Pixar film in this list as there is only one all time favourite for me. Toy Story – I mean the first film, I do enjoy watching the sequels but Toy Story ‘1’ is the best one of the bunch. You instantly fall in love with the toys, Woody is awesome and you can understand when jealousy strikes as Buzz Lightyear joins the group. But it all gets tense when Sid finds Buzz and Woody at Pizza Planet in the Aliens toy grabber machine – “The Claw”. Sid was terrifying and I always wondered if my toys would be the same, come alive when I left my room as a kid. Unpopular opinion, I LOVE FROZEN. It gets slated, and maybe you can sorta see why but honestly, it’s another Disney classic I can just watch again and again. Olaf is frigging amazing. A Snowman that wishes for Summer! Good one Disney. 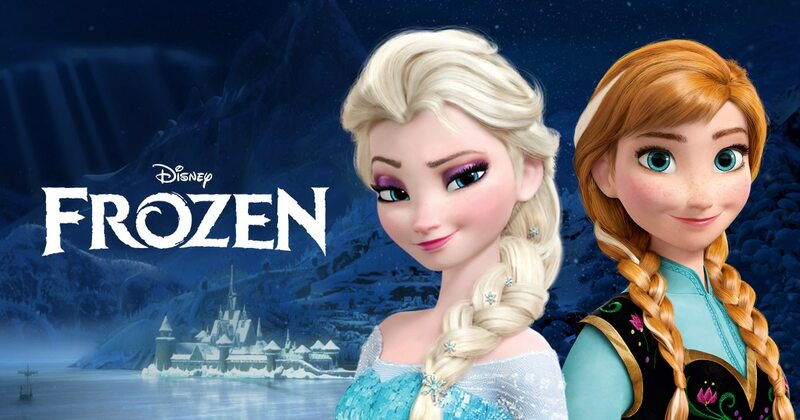 Elsa’s ‘Let It Go’ song is addictive – you cannot stop singing it when it comes on the radio, at a disco etc. Idina Menzel as the voice of Elsa, best choice ever! It’s a guilty pleasure of mine and many people will come to learn this as they get to know me. Sorry, not sorry, that this is generally my go-to choice of film to watch when I fancy a night in – after Pocahontas of course. I have to make a special mention of course to Disney’s latest film, Coco. The feels. The emotion. The colour. Everything about it was absolutely amazing. It made me cry. It made me laugh. It had everything I wanted in a Disney film – not quite in the top 5 but it’s very close! If you have not seen it, you MUST see it at the cinema now. Why? It will hit all the right spots in your heart, and trust me, you will shed a tear or two. Picking my top 5 is almost like finding a needle in a haystack, but will list part of them. My top 5 favorite Walt Disney pictures are The Lion King, The Incredibles, Pirates of the Caribbean, Tomorrowland and Zootopia. I love The Lion King since I was a child, the story was damn good and the animation also. Great choices, I do enjoy watching Pirates of the Caribbean if I’m ever feeling like I’ve completely overdone watching the Classics. The Lion King is very close to my top 5!